The Cape Coast Court complex in the Central region has been closed to allow structural engineers carry out an assessment of the dilapidated building. 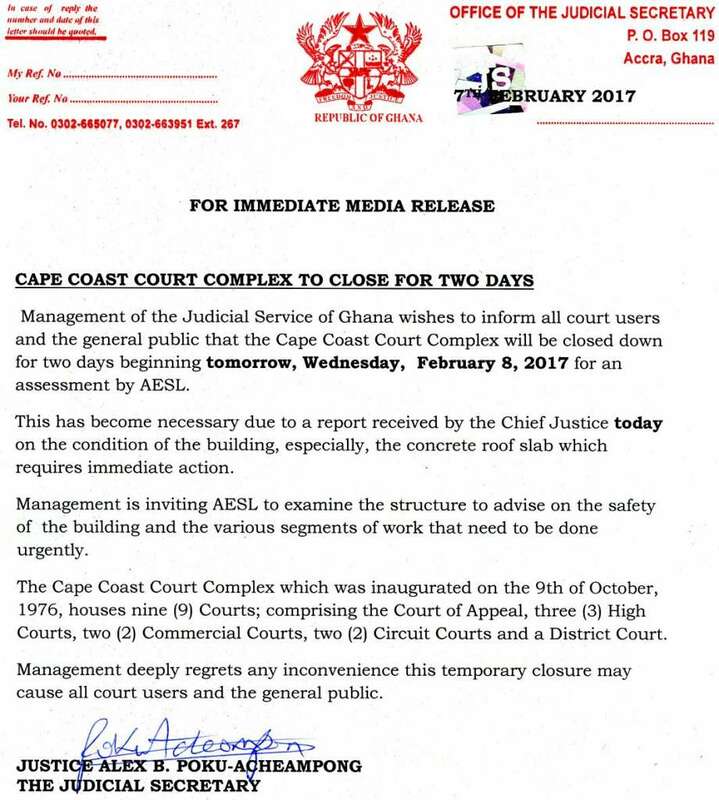 The closure which takes effect today February 8, 2017 was authorized by the Chief Justice for two working days. 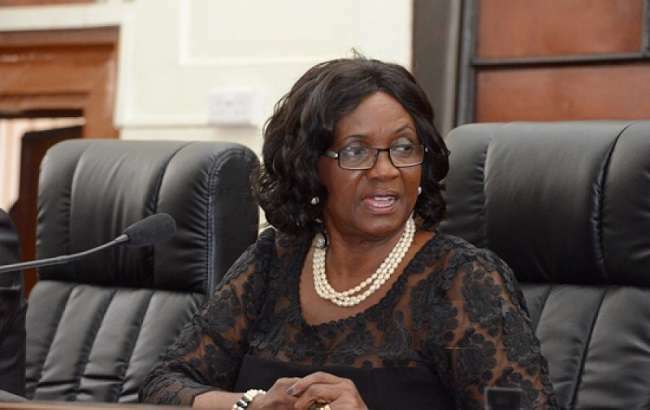 According to a statement released and signed by the judicial secretary, Justice Alex B. Poku – Acheampong said the building, especially concrete roof slab requires immediate attention. Meanwhile EIB Network’s Kwaku Baah Acheamphuor has picked up information all cases have been adjourned to Tuesday instead of Friday. The court complex which was constructed in 1976 houses nine(9) courts; comprising the court of Appeal, three(3)High courts, two(2) Commercial courts, two(2)Circuit Court and a District Court.